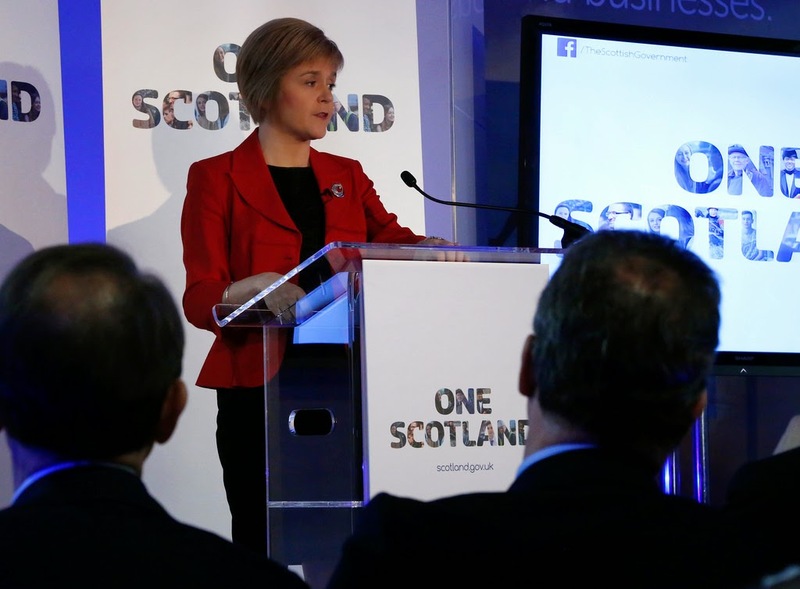 First Minister Nicola Sturgeon made her first address to Scotland’s businesses in a major economic speech delivered at Scottish and Southern Energy in Glasgow today. During the address to more than 70 representatives from Scotland’s business community, the First Minister put the economy at the heart of her agenda and announced the continuation of the Council of Economic Advisers (CEA) chaired by Crawford Beveridge. The First Minister also announced the CEA would continue to benefit from the world-leading expertise of Nobel Laureate Professor Joseph Stiglitz and welcomed the addition of Sir Harry Burns, former Chief Medical Officer to the Scottish Government, to the CEA. Speaking from Glasgow, the First Minister said: “Today, I am making clear that a strong, growing economy with a thriving business base is essential to the overall success of our country. “I am also announcing that I will strengthen the role of the Scottish Government’s Council of Economic Advisers, to ensure that my government has access to the best possible advice as we developed new policies to grow our economy. “I want the Council to focus more keenly on two key - and related - challenges. “Firstly, on how we enhance our competitiveness: looking at how we use existing powers to make our economy more competitive – a key part of this debate will always be about how we compete with London, and we need to consider both its economic value and the benefits of its proximity as well as the significant challenges it poses. “London has a centrifugal pull on talent, investment and business from the rest of Europe and the world. That brings benefits to the broader UK economy. But as we know, that same centrifugal pull is felt by the rest of us across the UK, often to our detriment. The challenge for us all is how to balance this in our best interests. “The second big challenge is how we better align the objective of economic growth with the need to tackle inequality. To support this focus, I have asked Sir Harry Burns to join the Council and I am delighted that he has agreed. The First Minister continued: “Today I want to make three basic points to our businesses: the first is that your success underpins the prosperity and wellbeing of every community in Scotland. It’s vital for me and my government to work closely with you to help you succeed – and I intend that we do so. “My second point is that our drive as a government to tackle inequality in our society is also a key part of our support for business. We believe – in common with many economists across the world – that equality and cohesion are good for growth, as well as good for individuals. “My third point reinforces my first. Creating greater prosperity and fairness isn’t something any government can do alone – it has to be a shared national endeavour and I am asking you to be part of it. “I want to hear your ideas about how we can grow the economy faster and more sustainably and better support you to compete, innovate and export. I want today to open up an ongoing dialogue with you about our shared ambitions and how we achieve them.